If Donald Trump says NAFTA is the worst deal ever, it must be good. Right? Before Trump came on the scene, Canadians were evenly split on NAFTA. Every time he speaks or tweets, Canadians love NAFTA more. Its popularity probably jumped over the moon after Trump’s drive-by, virtual shooting of the prime minister at the G7 summit. They may like it, but Canadians don’t know what’s in NAFTA. They think it’s about free trade — no tariff barriers among the three North American countries. Wrong. Tariffs between Canada and the U.S. were very low before the 1989 Canada-U. S. Free Trade Agreement (FTA) and 1994 NAFTA began. Tariffs have since fallen for Canada, the U.S., Mexico and many other countries under the most-favoured-nation rules of the World Trade Organization. If NAFTA dies, tariffs between Canada and the U.S. would remain at zero for many items and very low for the others. Unless, of course, Trump finds a flimsy excuse to impose them. But he does that under NAFTA. NAFTA is a corporate rights agreement, not a free-trade agreement in the original sense. Trump is causing such turmoil with tariffs, anti-Trudeau tirades, and weaponizing uncertainty that NAFTA’s future is in doubt. Creating chaos may be more effective than slapping on tariffs in bringing investment and jobs back to the U.S. NAFTA gave corporations the impression they could put plants in Canada and Mexico to ship their products to the big enchilada — the huge U.S. domestic market. Trump shows that NAFTA provides no such assurance. So, what does Canada give up under NAFTA? NAFTA’s chapter 11 gives foreign corporations the right to sue Canadian governments for passing laws that hurt their anticipated profits. It’s rigged against Canada. It’s ironic that, although the U.S. has not lost a single case, Trump wants to end chapter 11, while Trudeau fights to keep it. Wealthy foreign corporations have sued Canada successfully eight times, mainly over environmental protection and resource management laws. Canadian taxpayers’ bill is $314 million so far. Canada sought free trade to overcome unfair U.S. trade laws, like those that limit Canadian softwood lumber exports. If a law is bad, change it. Instead, NAFTA changed the judges. In NAFTA they aren’t even judges. They’re secret tribunals run by exorbitantly paid corporate lawyers to decide what Canadian laws hurt U.S. corporate profits in this country. NAFTA’s biggest flaw is chapter 6 — its energy “proportionality” clause. It obliges Canada to make available for export three quarters of our oil and half our natural gas to the U.S. — even if Canadians are shivering in the dark in an international oil crisis caused by a major Middle East war. Chapter 6 hinders Canada from reducing oil exports in the West to ship the oil to Canadians in the East, who rely on oil imports. Even worse, chapter 6 prevents Canada from reducing the proportion of fuels exported from Alberta’s tarsands and fracking. Two research reports I wrote show that retaining proportionality would lock in an additional 1,488 megatonnes of greenhouse gases between now and 2050 and likely torpedo Canada’s Paris climate promises. Proportionality enforces a continental, fossil fuel policy and hinders Canada from pursuing a national eco-energy one. NAFTA has so integrated our economy with the U.S. that Canada is very vulnerable to every U.S. lurch and tirade. In response, Canada should diversify its trading partners and develop a more inwardly directed, environmentally friendly economy where Canadians buy more local goods and services. More trade is not win-win if we export raw resources and import manufactured goods and high-tech services. Under NAFTA Canada has regressed to hewers of wood and drawers of bitumen. 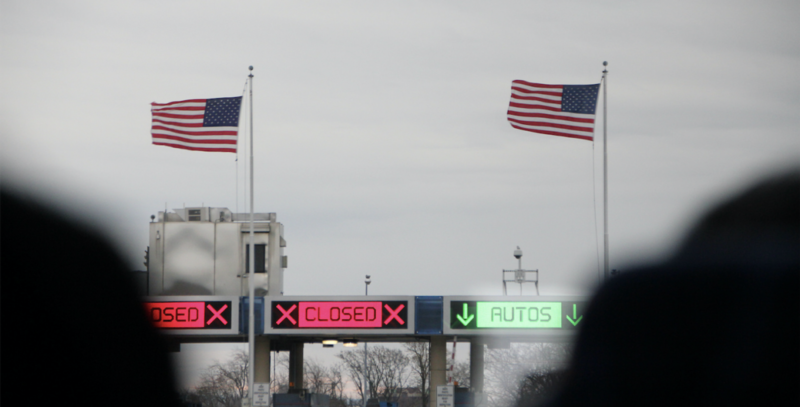 NAFTA ended Canada’s ability to enforce the auto pact. That gutted auto production in Ontario. Canada can build more high tech and industries of the future if we are freed from NAFTA’s corporate rights shackles. Why should Canada remain bound by NAFTA when Washington can capriciously act against Canadian imports at any time? We can build a prosperous, low-carbon future without NAFTA. Dr. Gordon Laxer is a political economist and founding director of Parkland Institute at the University of Alberta and co-author of NAFTA 2.0: For People or Polluters? and author of After the Sands: Energy and Ecological Security for Canadians.